Thanks guys! The current plan is to drive up, ride, crash somewhere in or near town for the night, ride again the next day then drive back south. Book some shuttles to get value from your time there and if your riding solo let me know when, I might be able to come for a ride I'm lucky enough to live 40 mins away. When are you booked to come? There are 8 new trails opening in Derby mid November had a sneaky ride on one with one of the trail builders on the weekend and it was insane. Just going to add variety of trails on offer, with a new jumps trail, DH trail with an extra 100m of elevation drop (no shuttle access from the top sadly) family friendly trails around the old mine hole/lake. I can't wait! It's is defiantly worth the drive but you would need a few days to ride most trails and there will be alot more pedalling involved than Maydena. So if your time poor might be worth hitting Maydena for 3-4 days as they have just opened a heap of new trail themselves and the place has been riding the best yet by all reports. If at all possible I would try and stay 2 nights. My vote if you are already doing Maydena would be to do the whole day shuttle Blue Tier, lunch at Pub then Atlas very different to anything I rode at Maydena but heaps of fun. I rode with a guy at Maydena who said that day (Blue Tier/Atlas) was the best day he had mountain biking in his life. I broke it into two days with my son and I'd have to agree, I particularly loved Atlas and then decending into Derby, just brilliant! Couldn't see you doing that ride and then jumping back in the car to Hobart on the same day! We have 5 days at Derby, then down to Bruny Island for 3 nights, then 3 nights in Hobart for the N/S track and Clarence, then over to Maydena for 4 nights, Cradle Mt for 3 nights then BACK TO DERBY for the final 3 nights before the ferry... just in case we haven't had enough Derby. Ive been following the Wild Mersey facebook page, there's already quite a bit been done in Warrawee Forest Reserve, so will keep an eye on it. They said there will be 25km of trail finished before xmas... so definitely worth a visit if it rideable by Jan.
Yeah, early December will be the opening of the first Wild Mersey trails at Warrawee Reserve, 10min ride south of Latrobe. There is also some good new trail at Kelcey Tiers at Devonport and a new 6km loop in the Dial Range behind the Penguin MTB park will be complete late November as well. Make sure you have the Trailforks app! This is amazing! I hope your home trails are decent enough to remain interesting following this! Home trails are great but Derby is different world altogether, hoping to cover every trail this time. 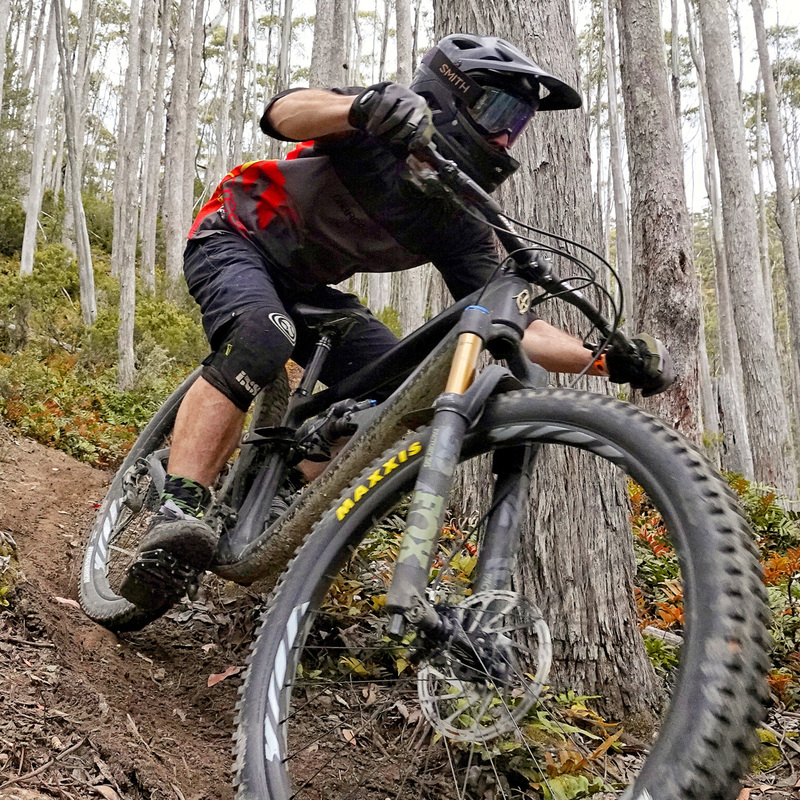 There are allegedly 8 new trails being opened for the Shimano Enduro World Series in November, they had a few teasers on fakebook a week or so back. Got all the maps printed and laminated and made a flip book with the "choose your adventure" site, https://www.ridebluederby.com.au/choose-your-adventure so hope to get all 8 of these done + the new 8 trails for the SEWS in November. Both my boys and myself are pretty excited about it, piss x-mass off, were looking forward to January. My boys did Atlas, Return to Sender, Flickety sticks and others the last time on 20" Kona Shreds, they have come on 500% since then, they are wanting to do them all with me. Raced in the Tas Gravity Enduro series at Maydena on the weekend and was my first visit to Maydena and I was very impressed with the trails. They are as everyone says, STEEP and you are constantly on the brakes on a lot of the more technical trails. One set of pads got me through the weekend no worries. Some of the trails up the top were closed due to 40mm of rain on the Wednesday and Thursday before and a few were still sticky/slippery but dried out a lot by the Sunday race day. Looking to be a big summer down there and I'll have to find the time to go back. I'm looking to get some solid riding in around February or March next year. Ideally I would like to bring the whole family along including 2 young boys who will be almost 4 and 2 by then. Is there enough family friendly stuff for the kids to do at either Maydena or Derby for a week? If not I might go solo and let the missus do snowboarding kid free later. Are any other RBers heading up there around then that I can hang out with so I'm not such a nigel. You'd be better off at Derby with kids that age, some nice flat tracks by the river. The railtrack riders are fun, but the pedals are too far away for little kids. They are also a pretty decent workout if it's a single person doing all the work! Didn't the old guy come along with the quad bike and push you? heya Guys so I've ended up living in Hobart since last December after working and living in Derby for a while. Tassie is frickin sick for riding I've gotta say! I head out to Maydena to ride most weeks, and live up on Mt Wellington above the South Hobart trail network. Still get back up to Derbs every now and then. Maydena is the big gravity dog tho! Anyhow, if you'd like any info on riding in Tassie I'm happy to help. The store I work for in Hobart also offers deals on all bike hire related stuff: MTB and road bikes, eMTB, bike racks, bike trailers, tailgate pads, dual cabs and mini buses. http://cranke.com.au for more info on that. See ya down in Tassie! So you're the official farkin tassie tour guide dude?? ?